Invaluable free resource documents regarding best practices in process safety management (PSM), process safety engineering (PSE), process hazard analysis (PHA), hazard and operability study (HAZOP), layer of protection analysis (LOPA), incident investigation (II), root cause analysis (RCA), safety instrument system (SIS), safety integrity level (SIL), and safety instrument function (SIF). With compliments from the process safety management experts at Process Improvement Institute! Understanding the Interrelationships Between the PSM Elements For Effective Implementation (PDF; 492 KB) NEW-2018 Every element of PSM has a role in controlling risk. These elements have an interrelationship – each depends on the implementation of one or more elements for effective implementation. Some elements have a greater influence than others. Understanding these relationships is critical for building and sustaining effective PSM programs. This paper will show through figures and discussions, these interrelationships, key attributes of each element that influence other elements and how poor implementation of each element adversely affects the implementation of the other elements. Four Major Gaps that Are Preventing Most Companies Worldwide From Achieving Excellent Process Safety Performance (PDF; 949 KB) NEW-2018 Process safety requires implementing many management systems, specific engineered features, and operating and maintenance practices effectively. Most companies believe they have done just that, and yet major accidents continue to occur. Why is that? What is missing? This paper looks at the statistics of major accidents, combined with results from audits and assessment from more than 50 chemical, petrochemical, oil/gas, and related processing companies world-wide. The paper illustrates the four major gaps that are common to the companies/sites that keep having major accidents, compared to those companies/sites that do not have such accidents. Common Hurdles, Benefits, and Costs for Fully Implementing Process Safety Worldwide–Especially in Countries without PSM Regulations (PDF; 935 KB) Process safety is implemented around the world and most of those sites do not have government regulations for compliance to push them along. The hurdles for effective (full) implementation appear to be roughly common from country to country, and site to site. This paper summarizes the lessons learned from multiple companies/sites around the world. Specifically, the paper compares hurdles to effective implementation and how companies crossed these hurdles. We also update earlier papers on the costs and benefits of effective implementation of process safety. Each of these implementations is an example of process safety implementation at a non-covered process and in many of the cases mentioned, the facilities implementing process safety outside of countries with process safety regulations do so better than those in regulated countries and extend process safety to all processes (including to processes such as steel making). Keys to Avoid Making A Dog’s Breakfast Out of Your MOC System (PDF; 697 KB) This paper discusses how to ensure the Management of Change system addresses a change’s effect on implementation of other process safety management systems and discusses common MOC workflow weaknesses that can undermine implementing an efficient, compliant and effective MOC system. This will be illustrated based on the recent eMOC system rollout at Irving Oil, New Brunswick, Canada. Process Safety Culture – Making This Real (PDF; 482 KB) Process Safety Culture (PSC) has received considerable attention recently. "Culture" is a very complex concept and can be very difficult to measure, influence, and manage. However, it is possible to identify, measure, analyze, and improve certain activities and characteristics that are recognized as key components of a positive PSC. This paper shows what Contra Costa County (one regulator) is doing to encourage establishment and measurement of process safety culture. It also shows that tangible, real activities within a site are what make safety culture a reality. Process Safety Competency (PDF; 1 MB) Successful Process Safety requires the utilization, involvement, and full support of nearly ALL staff at a site. Success also demands that a substantial portion of staff be competent and capable of contributing to process safety programs. This paper describes the basics of building competencies in each aspect of process safety, including those tasks that require expert levels of competencies. It also describes different companies' safety competency progression plans and the typical requirements to reach each new level. Human Factors Missing from PSM (PDF; 816 KB) Management systems for optimizing Human Factors to control human error rates must be developed by an organization involved in implementing Process Safety Management (PSM). This paper presents an overview of Human Factor fundamentals, discusses why many PSM systems are weak on human factors, and outlines a comprehensive process safety element on Human Factors. It describes what belongs in each category within the Human Factors element and explains the intent, content, and benefit of each category. The Cost & Benefits of Process Safety Management (PDF; 400 KB) Since 1986, state and federal regulators have been mandating implementation of Process Safety Management (PSM) programs at workplaces that handle hazardous chemicals, including explosives, toxics, and flammables. This paper presents the actual costs that some companies have expended and provides estimates of future costs to comply with either self-imposed standards or government regulations related to PSM. Also discussed are the types of benefits and, where possible, the actual benefits that have been achieved by implementing PSM programs. Risk Tutorial – Playing the Killer Slot Machine (Adobe PDF; 133KB) This paper explores how the acceptability of risk changes under a variety of circumstances. It also explores how these same principles apply to hazard analysis teams that are judging the acceptability of engineered and administrative controls, and whether or not to generate recommendations. The Uses and Users of PHA/HAZOP Results (PDF; 1.3 MB) NEW-2018 Process Hazard Analyses (PHAs) performed using methods such as HAZOP and What-if that are augmented by checklists, have become well established as a core for understanding risk in a hazardous chemical process and other processes. Some see the PHA results as an end to them itself. But, the real benefit of performing a PHA lies in its usefulness within all aspects of controlling risk day-to-day. This paper explains the different uses of the PHA results and who uses the PHA results. It charts the path for extracts of the PHA results (including the formal PHA report) to the rest of process safety implementation and process safety control. The many uses, intended from the start of hazard evaluations in the 1960s or discovered years later, will surprise many in the industry. Knowing the uses will help you implement process safety thoroughly and more efficiently, and this knowledge of the uses will change the amount of effort you put into the documentation of the PHA results. Building Competency in Internal PHA/HAZOP Leaders - Lessons Learned in 40 Years of Doing So (PDF; 1.4 MB) NEW-2018 Process safety is a deep topic and requires the involvement of nearly ALL staff at a site. But, how do you make sure your staff are up to the task? And how do you judge the competency of subcontractors or third party experts? This paper describes the basics of building competencies in one of the process safety activities that requires expert levels of competency: PHA/HAZOP LEADERSHIP. The paper shows how many companies, beginning with Olin Chemicals and others in the 1970s through hundreds of companies today have planned for the progression to full competency of PHA/HAZOPLeaders and Scribes. Best Practices for PHA Revalidations (PDF; 745 KB) NEW-2018 Process hazard analyses (PHAs) must be updated and revalidated every 5 years or sooner. PHA/HAZOP Revalidation is entirely different than a baseline or original PHA. The original textbook from CCPS on Revalidating PHAs was issued in 2001. This paper describes the current best practice approaches to revalidation and explains when to use each approach. The approaches are described in detailed flowcharts. Checklists for decisions making and quality control are provided, along with examples of completed documentation. This paper is based on completion of more than 300 Revalidations. The Art of PHA Scribing: The Invisible Role (PDF; 1.2 MB) NEW-2018 There is not much information on PHA Scribing because the definition seems to be self-explanatory and the skills required, obvious: Organized and good typing skills. But, how much of a difference can a bad/decent/excellent scribe have in the PHA overall? Is “As long as we don’t have to wait too much for him/her to record” enough? Should the scribe just “listen and record?" Is there anything the Scribe can do to improve the quality of the meetings? This paper is backed by more than a million hours of PHA scribing and tries to answer all these questions by going beyond the trivial set of skills needed. It describes key side-tasks the scribe can do to optimize the PHA team efforts, the skills required to do them, and the interaction with the PHA Leader. Recipe for a Complete Process Hazard Analysis–Especially Addressing the Key Demands from US CSB (PDF; 1.4 MB) Surprising, more than 80% of PHAs performed today do not comply with the current interpretations by US OSHA, much less the industry best practices. Most PHAs address less than 10% of the hazards during startup, shutdown, and online maintenance and less than about 30% address damage mechanisms such as corrosion, erosion, external impacts, external stresses, vibration, etc. How to address these hazards has been part of the CCPS Guidelines for Hazard Evaluation Procedures since 1991 and the US CSB and US OSHA have noted how these weaknesses have led to many accidents. The citations and comments from US regulators and the CSB are detailed to provide some of the business case for performing more thorough PHAs on these key issues. This paper and presentation also illustrates step-by-step how to address all hazards of the process during ALL modes of operation, during a PHA. Identify SIF and Specify Necessary SIL, and other IPLs, as part of PHA/HAZOP (PDF; 1.5 MB) Identifying Safety Instrumented Functions (SIFs) and other Independent Protection Layers (IPLs) is important for any organization. These can be identified in a simplified risk assessment such as a Layer of Protection Analysis (LOPA). But, these also can be identified with relative ease in a purely qualitative setting of a Process Hazard Analysis (PHA) using hazard and operability analysis (HAZOP) or other PHA methods. This paper shows how to apply the qualitative definition of IPLs within the setting of a process hazard analysis (PHA) to get most of the gain from LOPA without doing a LOPA (i.e., without using numerical values). Necessity of PHA of Non-Normal Modes of Operation (PDF; 1.2 MB) Most Process Hazard Analyses (PHAs) do not thoroughly analyze the errors that can occur during startup, shutdown, and other non-routine (non-normal) modes of operations, despite the fact that about 70% of major accidents occur during non-routine operations. This paper explains the business case for doing PHAs of procedure steps for non-routine modes of operation, while also describing the growing regulatory pressure from US OSHA and others. The reader will be able to use the results of this paper to estimate the number of accident scenarios they may be missing and to estimate the time it would take to complete an efficient and thorough PHA of the non-routine modes of operation. Implementation of Process Hazard Analysis as SSTPC (PDF; 691 KB) This paper provides insights into the challenges faced while implementing process hazard analysis at SINOPEC – SABIC TIANJIN PETROCHEMICAL COMPANY (SS-TPC) and shares lessons learned on how to get best practices implemented in such joint ventures and across very diverse cultures. PHA of non-Continuous Operating Modes (PDF; 816 KB) Most Process Hazard Analyses (PHAs) do not thoroughly analyze the errors that can occur during startup, shutdown, and other non-routine (non-normal) modes of operations, despite the fact that about 70% of major accidents occur during non-routine operations. This paper shows practical ways to efficiently and thoroughly analyze the step- by-step procedures that are used to control non-routine operating modes, as well as those for batch and between batch operations. The reader will be able to use the results of this paper to estimate the number of accident scenarios they may be missing and to estimate the time it would take to complete an efficient and thorough PHA of the non-routine modes of operation. Optimizing PHAs/HAZOPs while Maximizing Brainstorming (PDF; 190 KB) Process Hazard Analysis (PHA) optimization is executing the PHA analysis with practices that are thorough and efficient. Success is dependent on: 1) strong PHA Team Leadership, 2) complete and thorough PHA management practices, and 3) the strength of other process safety management (PSM) practices. This paper presents PHA team leadership techniques and rules, discusses content of PHA management practice, policy, and procedures, and explains the relationship of PHAs with some other PSM elements where if those elements are weak, can impact the quality of the PHA and increase the PHA meeting or documentation time. This paper shares secrets that will speed up your hazard evaluations without sacrificing thoroughness or brainstorming. Controlling Risk During Major Capital Projects (PDF; 443 KB) This paper describes the best practices for scheduling and performing Process Hazard Analyses (PHAs) during various key phases of major projects. The paper outlines the scope and content of each project phase hazard review and what the outcomes should be. The reader will first be given the basics, and then provided best practices and examples from various companies. An outline is provided of how information related to process safety should be developed during, and then delivered from, a major project. Addressing Human Factors During PHAs (PDF; 125 KB) Recent accidents and new regulations underscore the need for companies to identify potential human errors and to reduce the frequency and consequences of such errors as part of an overall Process Safety Management (PSM) program. This paper describes an approach for integrating human factors considerations into Process Hazard Analyses (PHAs) of process designs, operating procedures, and management systems. Critical issues related to human factors can be identified and addressed in different phases of a hazard evaluation. Case studies illustrating the effectiveness of this strategy are provided. Selection of Hazard Evaluation Techniques (PDF; 265 KB) A successful hazard evaluation can be defined as one in which (1) the need for risk information has been met, (2) the results are of high quality and are easy for decision makers to use, and (3) the study has been performed with the minimum resources needed to get the job done. Obviously, the technique selected has a great bearing on each hazard evaluation’s success. A variety of flexible hazard evaluation techniques is presented in this paper, and each of them has been applied in the chemical process industry and is appropriate for use in a wide variety of situations. Process Safety Competency (PDF; 1 MB) Successful Process Safety requires the utilization, involvement, and full support of nearly ALL staff at a site. Success also demands that a substantial portion of staff be competent and capable of contributing to process safety programs, including Incident Investigation and Root Cause Analysis. This paper describes the basics of building competencies in each aspect of process safety, including those tasks that require expert levels of competencies. It also describes different companies' safety competency progression plans and the typical requirements to reach each new level. Gains From Getting Near Misses Reported (PDF; 437 KB) Data indicates that there are probably about 100 Near Misses for every accident. Understandably, learning from near misses is much, much cheaper than learning from accidents. Yet many companies get less than one near miss reported for each accident. This paper describes in detail barriers to getting near misses reported and solutions for each of these barriers. It also shares how companies have increased the reporting ratio (number of near misses reported to accidents reported) to as high as 105:1 (whereas typical reporting ratios are 0-20:1). Exxon’s Worldwide Incident Investigation Training (PDF; 172 KB) Exxon Company, International (ECI) identified the need to have a common methodology and structured tools for incident investigations (including root cause analysis) across all of it's affiliates. 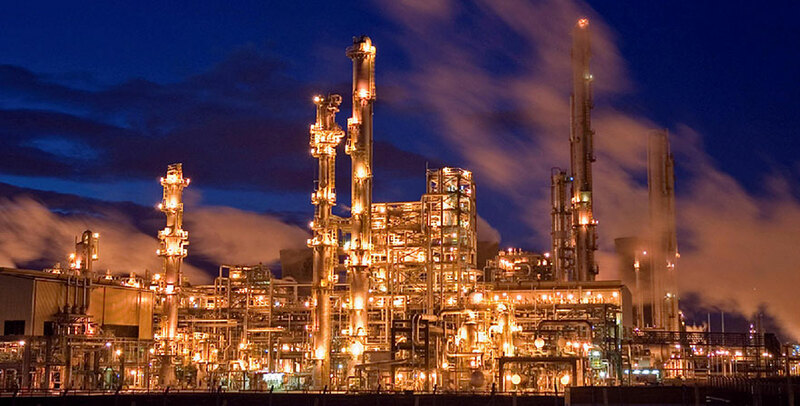 Exxon Production Research (EPR), on behalf of ECI, conducted a survey of various available incident investigation techniques and training programs. The techniques chosen were causal factors charting and the Root Cause MapTM (similar to the current version of the Root Cause ChartTM, which is from PII) from JBF Associates (JBFA). A two-day Exxon training program was developed that addressed the entire process of incident investigation. This paper discusses the background for developing the training, the content of the training and the results of the training. Understanding IPL Boundaries (PDF; 1.2 MB) NEW-2018 Layer of protection analysis (LOPA) is a simplified risk assessment tool that has been in use for almost three decades. The technique has improved the focus on independent protection layers (IPLs) that can prevent the progression of an initiating cause to an undesired consequence (a scenario). An IPL must be capable of preventing the scenario from reaching the consequence. To execute the simplified LOPA approach, the IPL must be independent of the initiating cause and other IPLs. The paper provides examples and illustrations for several types of IPLs: safety instrumented functions, dikes, relief device with fire-resistant insulation and cladding on the vessel, operator response to alarm, and deflagration arrester. The paper includes diagrams to illustrate the concepts. LOPA: Performed When and By Whom (PDF; 467 KB) NEW-2018 Layer of protection analysis (LOPA) was introduced in the mid-1990s by Art Dowell at Rohm and Haas Chemical Company (became Dow Chemical, now DowDuPont, Inc.) and by William Bridges at ARCO Chemical (now Lyondell-Basel) and JBF Associates. The first book was published in 2001 by CCPS. Since then, the method has swiftly grown in popularity for use in making risk judgments and in deciding on the SIL rating for an SIF. But, many users of LOPA do not know when to use LOPA and so they overuse this tool; and they do not know who should be doing LOPA, so they many times use a team, similar to or the same as a PHA/HAZOP team. This paper explains what the originators of LOPA intended and why, and also brings the industry up-to-date on the lessons learned from different approaches to using LOPA, related to when to do LOPA and who should do LOPA. More Issues with LOPA – From the Originators (PDF; 826 KB) Layer of protection analysis (LOPA) has now been around for more 20 years (and in general use for 15 years), with the initial textbook being officially published in 2001. This paper shares observations and lessons learned from two originators of LOPA and provides further guidance on how to and how Not to use LOPA. The paper provides specific examples of best practices, some of which are not covered well enough in or are omitted from the textbooks on the topic. Lesson from Applying LOPA throughout the Process LifeCycle (PDF; 840 KB) Layer of protection analysis (LOPA) has been implemented throughout major capital projects, on existing facility PHAs, and in PHA revalidations and management of change risk reviews. This paper discusses lessons learned for implementing LOPA in each phase of a process lifecycle and outlines some of the ways to optimize the use of LOPA. The paper describes how implementation of standards for IPLs and initiating event maintenance is necessary in each company. The paper also covers consolidation of SIL evaluation into the related PHA and LOPA at each life cycle phase. Special emphasis is given to optimizing the application of LOPA and SIL evaluation through the various phases of a major capital project. Impact of Human Error on LOPA (PDF; 1.9 MB) Identifying and sustaining independent protection layers (IPLs) is the heart of LOPA. And all initiating events (IEs) and independent protection layers (IPLs) are inherently tied to Human Error. This paper explains the relationship between human factors and the resultant IE frequency and Probability of Failure on Demand (PFD), and provides an overview of how to validate these risk reduction values at a site. The paper also covers the more involved topic of dependent human errors in IPLs, such as high integrity SIS and other high reliability IPLs such as relief systems. Actual examples are provided to illustrate key learnings. LOPA and Human Reliability – Human Errors and Human IPLs (Updated) (PDF; 943 KB) Estimating the likelihood of human error and measuring the human error rate at a site are troublesome tasks within the framework of a Layer of Protection Analysis (LOPA). For this reason, some companies do not give credit for a human Independent Protection Layer (IPL). This paper (based on a similar paper from 2010) discusses the data needed for adequately counting the human in a LOPA (and other risk assessments), and includes discussion of the theory of human factors. Actual plant data and tests are included in the paper to provide the reader with some examples of how a simple data collection and validation method can be set up within their companies. This paper also provides an overview of an alternative method for estimating the Probability of Failure on Demand (PFD) of a Human IPL, based on plant and scenario specific factors (such as stress factors, complexity, and communication factors). LOPA and Human Factors 1 (PDF; 280 KB) Estimating the likelihood of human error and measuring the human error rate at a site are troublesome tasks within the framework of a Layer of Protection Analysis (LOPA). For this reason, some companies do not give credit for a human Independent Protection Layer (IPL). This paper discusses the data needed for adequately counting the human in a LOPA (and other risk assessments), and includes discussion of the theory of human factors. Actual plant data and tests are included in the paper to provide the reader with some examples of how a simple data collection and validation method can be set up within their companies. Issues with LOPA – Perspectives from one of the Originators of LOPA (PDF; 246 KB) This paper focuses on problems observed with LOPA during the first 8-years of broad use. These problems include using LOPA without following the rules of LOPA; overuse of LOPA; overwork of LOPA when it is used; using LOPA in PHA team settings; and improper match of an IPL to a consequence (due to a weak definition of the consequence being avoided). This paper also summarizes the many benefits LOPA has produced for the industry. LOPA Articles (PDF; 690KB) The first article "Layer of Protection Analysis: A New PHA Tool After HAZOP, Before Fault Tree Analysis" introduces LOPA as a new Process Hazard Analysis (PHA) tool. LOPA uses the data developed in the HAZard and OPerability analysis (HAZOP) along with suggested screening values to account for the risk reduction of each safeguard. The mitigated risk for an impact event can then be compared with the corporation's criteria for unacceptable risk to determine whether additional safeguards or independent protection layers need to be added. The paper provides examples to illustrate the LOPA process. The second article "Risk Acceptance Criteria and Risk Judgment Tools (now called Layer of Protection Analysis [LOPA]) Applied Worldwide within a Chemical Company" describes the process one chemical company used to provide a standard for evaluating risk of potential accident scenarios. This paper presents the evolution of the risk tolerance and risk judgment approach used by the company. Although other companies may follow a different path to achieve the same goals, there are valuable lessons to be learned from this company's particular experiences. A Streamlined Approach for Full Compliance with SIF Implementation Standards (PDF; 1.2 MB) Many companies put FAR too much redundant effort into determining what SIL (safety integrity level) is needed and then verifying the SIF (safety instrumented function) design will give the SIL targeted. This paper shows how to apply the qualitative definition of independent protection layers (IPLs) within the setting of a process hazard analysis (PHA) to get most of the gain from Layer of Protection Analysis (LOPA) without doing a LOPA (without using numerical values). We show how we use a PHA team to identify when a SIF is needed and to select the proper target SIL. This portion of the SIL evaluation and the identification and labeling of the IPLs during the PHA/HAZOP does not take any longer than a normal PHA/HAZOP, once the right habits are established. Note that this approach eliminates the need for a separate SIL Evaluation Study to identify the SIFs and select the target SIL. Then, this paper describes how to perform the SIL Verification and Safety Requirements Specification (SRS) remotely, again without the need for a redundant team meeting. This approach has been used at many sites and for thousands of SIFs. Accounting for Human Error Probability in SIL Verification Calculations (PDF; 465 KB) This paper shows that human error during testing, maintenance, and restoration of a Safety Instrumented Function (SIF) can potentially dominate it's Probability of Failure on Demand (PFD) value, calling into question whether the required risk reduction is indeed being met. Example methods for estimating the contribution of human error probability for SIL Verification calculations are provided, as well as some proven approaches for controlling human factors that affect the base error rate (for a given mode of operation). It also discusses ways to prevent or else detect and recover from errors made in redundant channels (such as used in 1oo2, 1oo3, or 2oo3 voting). Best Practices for Writing Operating Procedures and Trouble-Shooting Guides (PDF; 1.3 MB) There is no complete, best practice guideline or textbook for writing operating procedures and trouble-shooting guides. This paper presents the proven, best approach for developing accurate operating procedures and for ensuring the page formatting and step writing are optimized to reduce human error rates. This approach and the 32 rules established in this paper are based on the foundations set by Swain and others (in 1970) for control of human error rates, but uses experiences from more than 100 sites where this approach has been successfully followed. The approach and rules for developing operational troubleshooting guides (procedures for responding to process deviations such as those needed for Human IPL) are again the best approaches found and have been applied successfully since the early 1990s. Several case studies are provided that show the gains from following this approach. The guidelines in this paper build upon ones presented in 1999 at CCPS and 2016 at GCPS. Writing Effective Operating Procedures (PDF; 3 MB) Part I of this articles provides a summary of generally accepted procedure-writing guidelines, based on decades of experience in writing operating and maintenance procedures, and many years of human factors analysis. It also includes steps that a company/writer can take to safeguard against written procedures not being followed. Part II offers strategies for developing an operating manual that will comply with regulatory requirements (particularly OSHA's PSM requirements) for processes containing highly hazardous chemicals. This part also tells how to comply with other regulatory requirements, including developing procedures for all phases of operations, addressing safety and health considerations, and describing safety systems and their functions. Why Are the New People Making the Same Mistakes That the Old-Timers Made 25 Years Ago? Managing Organizational Change (PDF; 199 KB) NEW-2018 History repeats itself. The same process safety incidents occur over and over. The same occupational safety incidents occur repeatedly. Why? “Organizations have no memory” – Trevor Kletz. As the operating, maintenance, and engineering personnel are promoted, retire, take vacation, are absent, OR job duties are reallocated, critical safety information and expertise is lost. The paper gives examples of memory loss and its consequences. The right critical knowledge and skills must be available on site, all the time, when they are needed. The paper describes a straight-forward Management System to maintain the needed competency as the organization changes. The system is self-documenting and can easily be kept up-to-date. Examples are given from years of experience. Proven Approaches to Ensuring Operators Can Respond to Critical Process Deviations in Time (Human Response IPL (PDF; 1.7 MB) Humans can be the cause on an accident scenario (the Initiating Event [IE]) or humans can serve or participate as an independent protection layer (IPL). Validating Human IPLs has been a show stopper for many companies considering the use of human response as an IPL. Human IPLs include preventative steps that may stop a scenario from progressing once it is initiated, but more typically the human IPLs are responses to alerts or alarms or troubling readings and sample results. This paper first describes the fundamentals of clear alarms, practical actions, and having enough time to perform the action, all without being in harm’s way at the end of the action. Human Factors and their Optimization (PDF; 797 KB) Weak control of Human Factors leads directly to error. Not only do humans cause accidents (unintentionally) by making errors directly related to the process itself, but they also cause errors by creating deficiencies in the design and implementation of management systems. Human error is also the cause of failure of each layer of protection. This paper discusses each of the 10 primary human factors and describes what we know about their relative importance in accident causation. It also details proven ways to optimize these human factors so that the base human error rate at a site is as low as possible.